This publication explains how microentrepreneurs can use emerging web-based marketplaces to sell services, goods, and experiences to untapped markets. Retail monopolies often control access to customers in competitive markets. This makes it difficult for small and microenterprises to make their goods and services visible to potential customers. A microenterprise is defined as a business employing five people or less, usually including an owner / manager / worker and family members. Microenterprises tend to operate in under-regulated business environments that allow low entry barriers but do not afford stable livelihoods nor health benefits. Recent advances in information and communication systems (ICT) have created innovations that can mediate large and complex sets of product offerings and make them available to customers in efficient ways. Often, these solutions take the form of web marketplaces where microentrepreneurs can offer their services to desiring customers.The control exerted by intermediaries is often due to customers’ lack of information about suppliers or because of the complexity of supply. Retail monopolies depend on information imbalances to maintain this control. Information based solutions that improve information flow between suppliers and potential customers can address these challenges (Payton, Morais, and Heath, 2015). Marketplaces such as Ebay, Craigslist, and others (see Figure 1) allow suppliers to showcase their goods or services and may help potential customers navigate offerings in more or less facilitated ways. Figure 1. 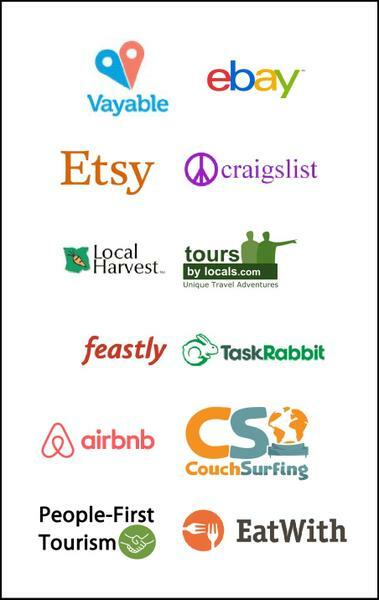 Logos of online marketplaces. 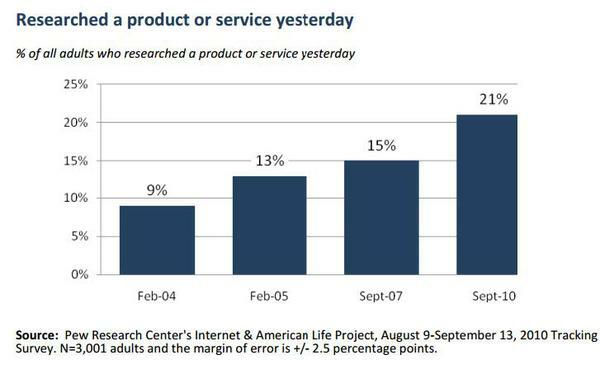 Research shows that from 2004 to 2010, the percentage of Americans who researched a product or service online more than doubled (Figure 2). The same study points out that 78 percent of Americans use the Internet to research a service or product they are thinking of buying (pewinternet.org, 2010). Furthermore, 40 percent of worldwide Internet users have purchased products or goods online. This figure amounts to more than 1 billion online buyers and is projected to continuously grow (statista.com). These results indicate that long gone are the days when Americans used to rely on the phonebook to find a business. Consumers also are increasingly more likely to scout online before making a purchase or shop online. Therefore, in order to meet demand, businesses must have a strong Internet presence. An online storefront gives customers access to your business and product information 24 hours a day, seven days a week and dramatically increases your overall visibility in the marketplace. Such transformation of trade and store transactions was largely enabled by the worldwide expansion of the Internet. Accordingly, e-commerce, or electronic commerce, largely involves buying and selling products through the Internet. In particular, consumer-to-consumer (C2C) e-commerce—occasionally called customer-to-customer e-commerce—is facilitated in large part by websites offering free classified advertisements, auctions, forums, and individual pages for start-up entrepreneurs (statista.com). All of the web marketplaces featured in this publication offer functions to enable C2C transactions and interactions. These go-between websites earn their money mainly from small fees charged to sellers and often provide a secure and convenient payment method. Figure 2. Growth of online product research. One of the obvious advantages of e-commerce is that you won't have to search for an appropriate geographic location or worry about paying high overhead costs for a brick-and-mortar facility. In fact, you may not even have to pay for a web domain if a go-between website fulfills the particular needs of your business. Also, start-up costs, licenses, and permits for establishing a web-based business are far less than those for traditional brick-and-mortar businesses. You will also save money by using fewer employees to perform operations such as managing inventory and billing customers (smallbusiness.chron.com). There are many online marketplaces to choose from according to your needs, skills, resources, and expected level of involvement. From the many options related to tourism, lodging, and entrepreneurship, we have highlighted six that will help you get started using these marketing tools. After reading this publication, you will be able to (1) sell experiences in a city using Vayable; (2) sell crafts and art using Etsy (3); sell farm products using Local Harvest; (4) sell gastronomic experiences with EatWith; (5) rent a house or a room using Airbnb; and (6) sell genuine, authentic experiences using web-to-cell technology through People-First Tourism. Table 1 summarizes some benefits and drawbacks of each marketplace. For example, tourists expect Insiders (tour guides) from Vayable to be naturally lively and enthusiastic, which may not be the best fit if you tend to be more of an introvert. On the other hand, Airbnb will enable you to make money from tourism with little to no interaction with customers, although occasional interaction might be desirable in some cases. Also consider upfront costs and return on investment. If you want to sell locally grown produce through Local Harvest, you will have to buy or lease the land, plow, sow, weed, and water until you reach the harvest season. You will then sell your harvest to recover your expenses, hopefully with a profit. This whole process can be tricky and uncertain, especially in drought years or years prone to pests and diseases. You might want to consider combining agricultural activities with tourism activities through People-First Tourism. If you like educating people about organic farming and are willing to share your passion with others, you can receive visitors at your farm and provide tours or hands-on experiences. You might have just found a reliable alternative income source outside of the harvest season that will enable you to keep your business running smoothly during that period. We will cover the necessary steps to register and showcase products or services on the six featured web marketplaces. Our hope is that this information will give you confidence to independently register with the web marketplace(s) of your choice and start your venture as soon as possible. Registering is no more complex than presented here, and no further information is required. We recommend, however, that you consult local laws when appropriate to make sure you are complying with legal requirements in your area. Table 1. Comparing benefits and drawbacks of web marketplaces. Vayable is a marketplace where people can discover, book, and offer tours and activities across the globe. Vayable Insiders are individuals who create unique experiences to share with others. If you have unique knowledge, skills, or access, you can earn money offering an experience by becoming a Vayable Insider. Sign up. Sign up on the home page. Enter your email address, name, and choose a password. Alternatively, you can choose to connect using Facebook if you have an account. Profile video. To ensure trust, safety, and a high level of quality, Vayable asks each Insider to create a profile video telling potential travelers more about themselves and what they have to offer. You may keep the video informal, but try to make it appealing. Identity verification. Edit your profile. You will be asked to provide your phone number to verify your identity. You will receive a text message with a code you will need to enter back in the system for verification. Create an experience listing. At the top of the page, click “List an Experience.” Fill in the fields with a summary of the experience, its title, location, number of people, duration, and price. The system provides help and examples throughout the process. Photos. Add up to 10 photos and choose one as the cover for your experience (Figure 3). Schedule. Pre-approve times or mark them as unavailable according to your needs (Figure 4). 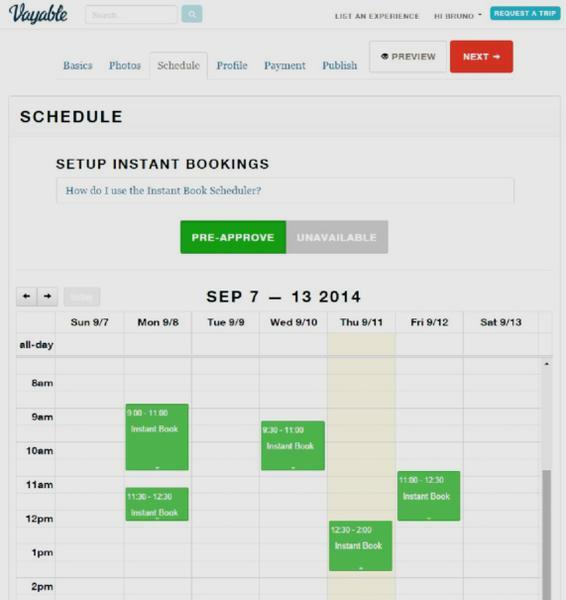 We recommend learning how to use the Instant Book Scheduler. Payment. You can choose to be paid by secure direct deposit (ACH) or via PayPal. Publish. Preview your experience and proofread it carefully. 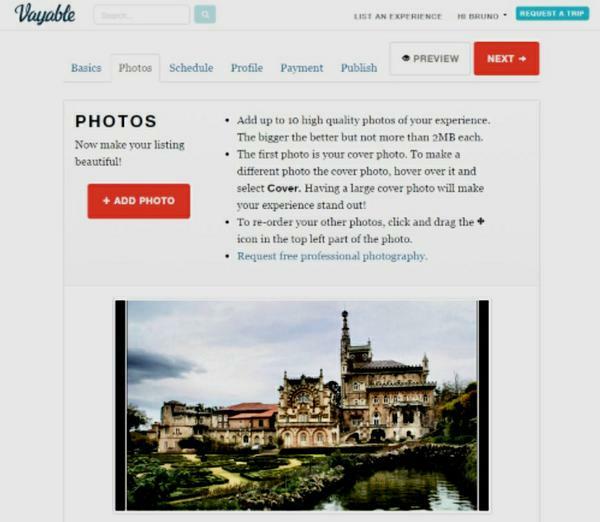 After you click publish, Vayable will review your experience and let you know if they need more information. You can go back and edit your experience at any time. Get to the job. Stay tuned for reservations and good luck! Vayable collects a 15% commission from all guides on all confirmed bookings. This fee is automatically deducted from payout. Figure 3. Uploading photos to Vayable (www.vayable.com). Figure 4. Pre-approve times (www.vayable.com). Etsy is a marketplace where people around the world connect to buy and sell unique goods, including art, photography, clothing, jewelry, food, bath and beauty products, quilts, knick-knacks, and toys. Items should be either handmade or vintage. Register. 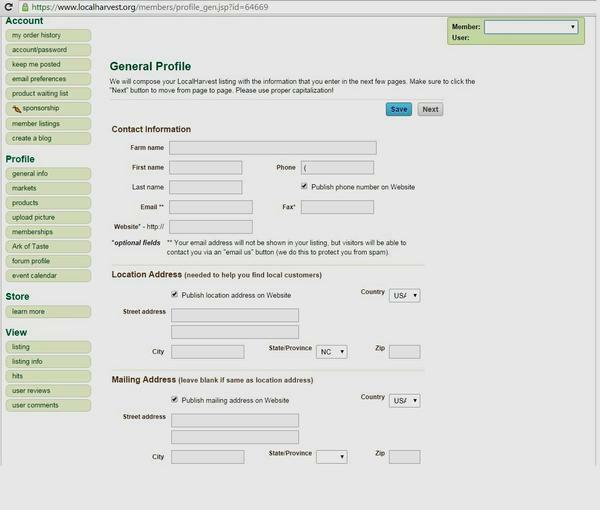 Click “Register” on the home page (Figure 5). Enter your first and last names, e-mail address, password, and username. Alternatively, you can sign up using Facebook if you have an account. Profile. To edit your profile, click on the icon with a face in the upper right section of the home page. Follow the instructions. Remember to portray yourself in an accurate and appealing way. Shop setup. Choose your shop name, which will appear with your items in the Etsy marketplace. Select a name that has personal significance or helps identify what's in your shop. Stock your shop. Add as many items as you can right away—preferably 10 or more (Figure 6). More items mean more chances to get discovered! Shipping cost estimation is also available. Get paid. 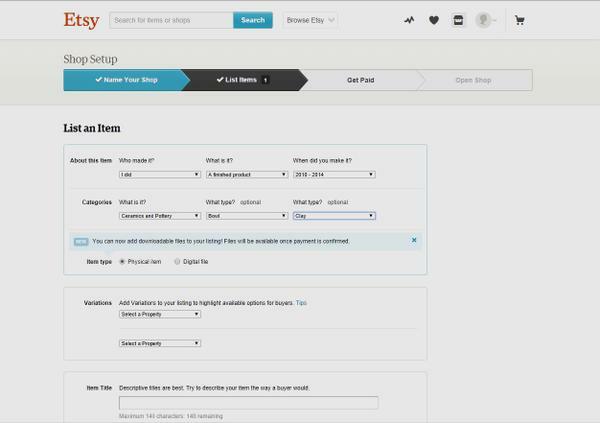 Etsy uses its own secure payment system.1 You will have to provide detailed information, such as bank account and social security number, home address, and date of birth. Open shop. Although there is no monthly membership fee, you will be charged listing and selling fees for selling on Etsy. Item listings cost $0.20 USD each, and they expire after four months. Selling an item costs 3.5% of the selling price, excluding any shipping or tax rates you may charge. 1With the rapid growth of online fraud such as phishing and virus attacks, online banking comes with risks. A majority of users understandably feel concerned about improper use of their bank account credentials on the Internet. However, online security can be as simple as frequently reviewing your bank accounts to stay on top of things and promptly reporting any fraudulent transactions. Other measures include using strong passwords and up-to-date anti-virus software, avoiding sharing personal information on social media, or not responding to suspicious emails requesting bank account details (Bank of America, n.d.). Figure 5. 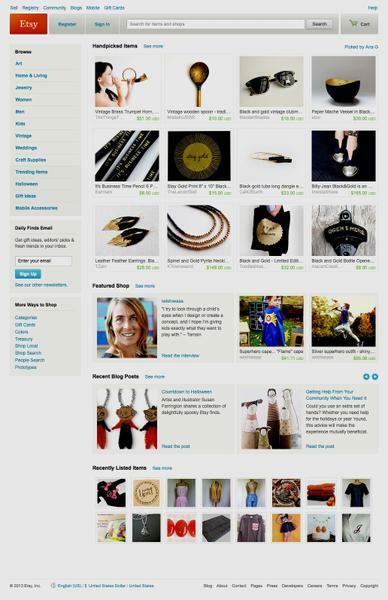 Etsy home page (www.etsy.com). Figure 6. Adding items section (www.etsy.com). Local Harvest connects people looking for good food with the farmers who produce it. According to Local Harvest, the goal of the local food movement is to create thriving community-based food systems that will make high quality local food available to everyone. Sign up. Click “Sign Up” in the upper right section of the home page (Figure 7), and follow the instructions. You will need to provide your e-mail address and choose a password. Alternatively, you may sign in with Facebook if you have an account. Create a listing. In the bottom center section of the home page, click on “About Us” under “Support.” Then, under “The Local Harvest National Directory,” at the end of the paragraph, click “Click Here” to create a listing for your farm. 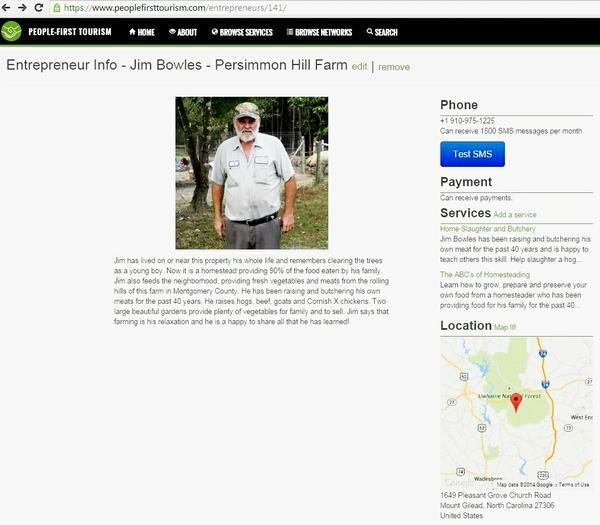 Choose your listing type (Farm/Ranch or other) and select a name for your business. Two listing levels are available: basic and sponsored. While a basic listing is free, a sponsored listing requires a minimum contribution of $30 per year. A sponsored listing might be a better option because your products will get priority in customers’ search lists. General profile. Fill out the required fields and write a few brief paragraphs describing your farm and farming practices. Be concise and include relevant keywords (Figure 8). Market profile. Indicate your normal market outlets. If you sell at farmers markets, include the schedule and location (place, days, hours). Product list. Use this page to tell the public about the products that you grow and when you grow them. The items you check will appear in a list at the bottom of your profile with the appropriate season. Upload a picture. A photo of your business will add visual appeal to your profile. Yearly sponsorship. Select a basic listing or pay $30 for a sponsored listing. Ark of Taste product list. Use this page to tell the public about any Slow Food Ark of Taste products that you grow or manufacture. You can learn more about this concept on the website. Calendar of events. If you would like to maintain a calendar of events with Local Harvest, you can add them here. Your events will be shown as part of your listing and will be available for view by all visitors looking for information in your area through the Local Harvest events calendar. Your storefront. After you submit, you will come to a screen that says "Thank you.” Now Local Harvest will review your store to ensure that it complies with their standards and approve it for inclusion in the catalog. 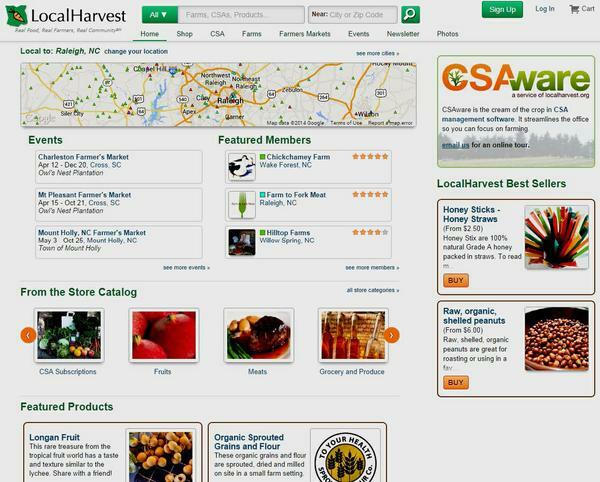 You will be able to create your Local Harvest store after your listing is approved. If you are accepted, Local Harvest will retain 15% of each sale (before shipping or taxes) as a commission and 6% of the shipping fees to cover their credit card processing costs. Their commission for CSA subscriptions is 6%. Figure 7. Local Harvest homepage (www.localharvest.org). Figure 8. 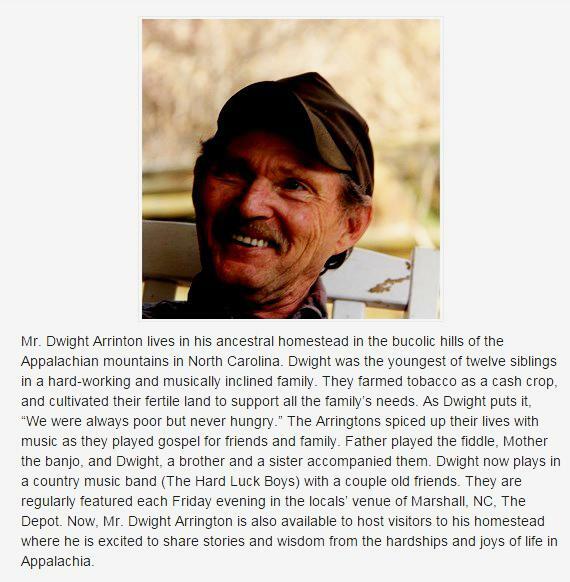 General profile on Local Harvest (www.localharvest.org). EatWith offers you a fun and easy way to host an unforgettable experience in your home. Prepare your favorite dishes, meet interesting people, share your unique cultural perspective, and earn extra income on the side! EatWith is growing fast, but it may not be currently accepting host applications in your location. Sign up. 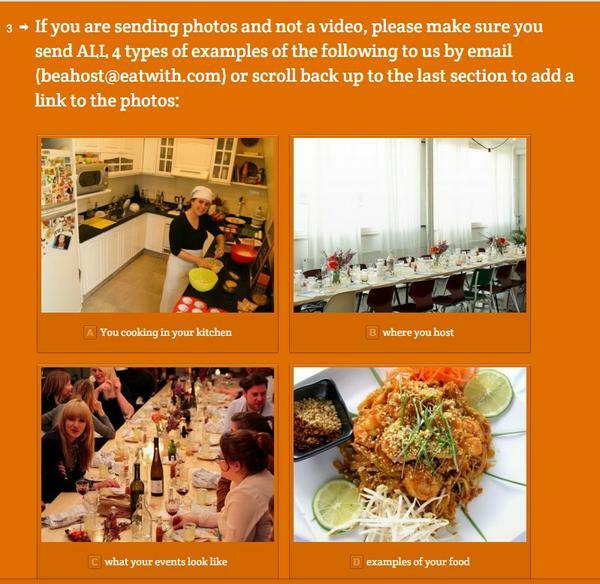 Click “Sign Up” in the top right section of the EatWith home page (Figure 9). Provide your first and last names, email address, and a password. Choose your country. Alternatively, you may sign up with Facebook if you have an account. Do you have what it takes to be a host? Watching the video provided by EatWith will help you to figure that out. Submit a short video (30 to 60 seconds) and photos showing why you are the perfect host! Include pictures of your hosting space, you cooking, your food, and anything else that sets you apart (Figure 10). Add a link to your video or photos, or email the files later to the email address provided. Fill out a set of questions. In addition to your photo and video submission, add the URL of your blog, website, or Facebook page. Enter your name, country, and city. How many people can you host at your table based on the number of complete place settings you have? Where do you plan to host your events? Have you ever studied cooking? Where do you get your cooking inspiration? How many dishes is your menu composed of? Do you cook with organic or home-grown produce? Does your event include live music or a cooking demonstration? Can you cater for vegetarian, kosher, vegan, celiac, or lactose intolerant guests? Who do you host dinners with? How many times per month are you available to host events? Do you speak English? How many languages do you speak? How many minutes in a cab are you from the city center? What’s your address? What does your food look and taste like? Profile review. After you have completed your questionnaire and submitted your video and photos, EatWith will review them and contact you for further instructions, including pricing, payment methods, and legal issues. Figure 9. 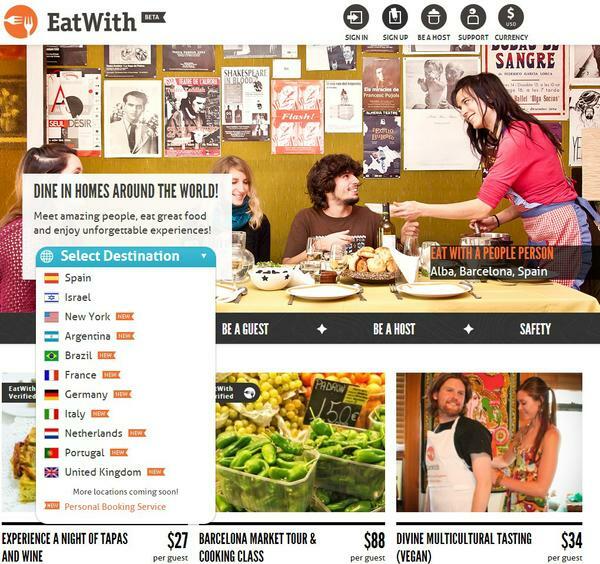 EatWith home page (www.eatwith.com). Figure 10. Hosting amenities (www.eatwith.com). Airbnb is a community marketplace where guests can book lodging spaces from hosts, connecting people who have space to spare with those who are looking for a place to stay. Through their experiences on Airbnb, guests and hosts are expected to build real connections with real people from all over the globe. Sign up. Click “Sign Up” at the top right section of the home page (Figure 11). If you choose to sign up with your email, provide your first and last names, email address, and a password. Confirm your password and click “Sign Up.” Alternatively, you can sign up using either Facebook or Google Plus if you have an account. Availability. Indicate when your listing is available: always, sometimes, or one time. You are creating your calendar at this step, and you will return to the calendar periodically to update the availability. Pricing. You alone are responsible for choosing a price for your listing. The suggested price tool can give you a sense of prices charged within the past 90 days by the most comparable listings in your city or neighborhood. If you want to offer a discount for longer stays, you can also set weekly and monthly prices. Overview. Provide a title and a summary to be displayed on your public listing page. A great summary should be rich and exciting! It should cover the major features of your space and neighborhood in 250 characters or less. Photos. Add a photo or two—or three, or more! Guests love photos that highlight the features of your space. Amenities. Most common amenities include TV, heating, or Internet; extras include hot tub, pool, or free parking; special features include kids, smoking, and accommodations for pets. Please note that smoke and carbon monoxide detectors are required for most listings. Listing info. Insert the number and types of beds and bathrooms guests can access. Address. Click on “Add Address” and enter it in the fields. Provide guests with directions to your place, suggestions on transportation, and any other details that may help them arrive easily and on time. Your exact address is private and only shared with guests after a reservation is confirmed. Confirmation. Include a photo of yourself and your phone number. You will get a text message on your phone with a four-digit verification code that you will need to enter on the website. Getting paid. You can add a payout method from your account. “Payout Preferences” are listed on the drop-down menu next to your name on the top right of the home page. Available payout methods and currencies differ by country. Click “Add Payout Method” and enter your address to see the payout options available to you. These options include ACH/direct deposit; bank transfer/international wire; PayPal; Western Union; mailed check; and Payoneer. Wait for reservations. In the meantime, we recommend reviewing your local laws before listing your space on Airbnb. Some cities have laws that restrict your ability to host paying guests for short periods. These laws are often part of a city's zoning or administrative codes. Figure 11. 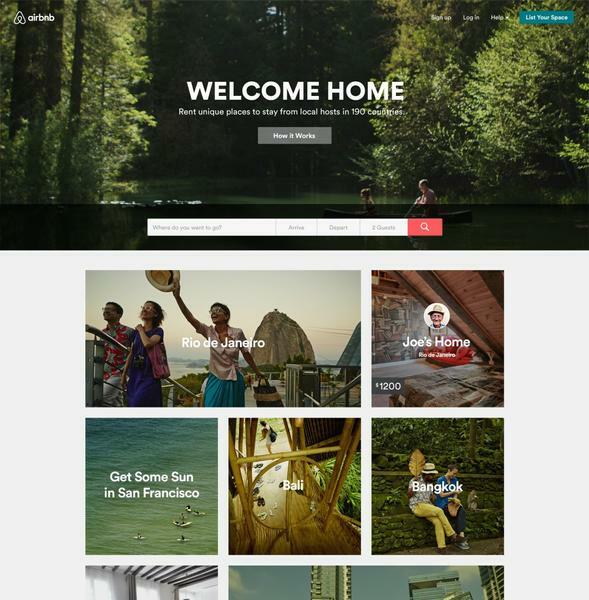 Airbnb home page (www.airbnb.com). Figure 12. 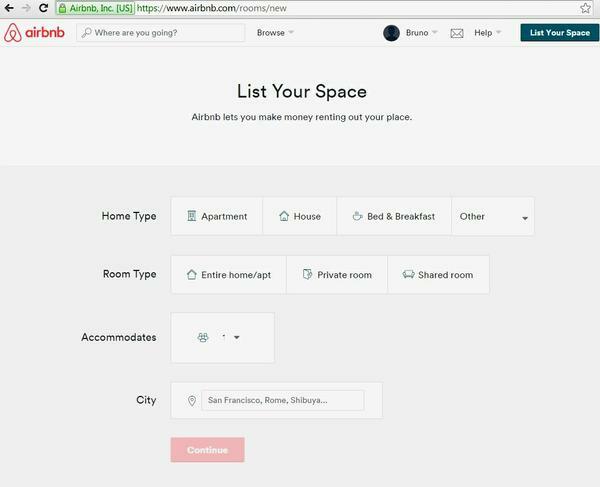 List your space page (www.airbnb.com). The phrase “digital divide” refers to the gap observed between individuals with ready access to information and communication technologies (ICT) and those without such access. In this case, some individuals still won’t be able to reach the untapped markets mentioned above if they have limited (or no) Internet connectivity. Thus, technologies do not in themselves solve social and economic discrepancies within societies, but they can often exacerbate them (Baum, 2006). However, a key feature of the People-First Tourism software is that it embraces the advanced ICT functionality of hyper-connected tourists while making the system accessible to even the least ICT savvy microentrepreneurs (Morais et al., 2012). People-First Tourism is a marketplace for buying and selling genuine tourism experiences (Figure 13). This project links entrepreneurs trying to pursue dignified and sustainable livelihoods through tourism with adventurous and conscientious tourists interested in unique, off the beaten path experiences and in making positive impacts on the communities they visit. Travelers interested in supporting local economies and people, while also having meaningful tourism experiences, can register on this site and search for experiences based on geographic location or type of activity. Once travelers identify a desirable experience, they can fill out a reservation inquiry that is submitted via text message to the provider’s cell phone (Figure 14). Travelers will receive an email response some time later from the provider confirming availability or declining the reservation. Once travelers receive a confirmed reservation, they will be prompted to prepay for the service through PayPal. This reservation process was designed in consultation with tourism microentrepreneurs to maximize their ability to be involved in selling tourism services despite their unreliable access to communications and their complex work schedules. If you don’t have a business name, include only your first and last name; if you do have a separate business name, please include both the name of the business and your full name. Include a headshot (or profile picture) of yourself. Make sure to choose a photo that you are comfortable sharing online. Provide a compelling description of yourself (150 to 200 words). Begin with a brief background of your historic connection with the local community; include some info about your economic struggles or hopes (include only that which you are comfortable sharing); demonstrate your special knowledge, skills, and personality; and reflect how you desire to meet and interact with visitors (Figure 15). Use words that might be searched by interested tourists. You must have a cellphone number that can receive reservations via text message (SMS enabled). Investment in high-end devices is not required because any basic cell phone will do the job. You need to have a PayPal account. For help, consult a PayPal tutorial. You are entitled to list up to two services. Provide a description and a photo for each. Specify duration, maximum number of people for the listed price, and extra fees to be paid in cash on site per extra person if appropriate. Specify if the service is best suited for certain visitors, such as families or children of a certain age. You may want to include soft warnings about weather or physical demands and potential exposure to allergens. Use Google Maps or a GPS device to determine the exact location where you would like to meet with the tourists. Provide the physical address of your location. Becoming an entrepreneur for People-First Tourism may be a perfect opportunity if you are looking for a way to share a unique skill or experience with tourists who desire to learn more about your local community and way of life. People-First Tourism will enable you to market your small business to tourists while keeping the process simple and the profits local. We encourage you to work with Cooperative Extension agents, grass roots organizations, small business development centers, and other local resources to establish experiences offered to travelers through this website. By working with these local empowerment agents, you can get advice about how to market your business, discuss competitive rates for your services, and ask questions about credit, liability, and other concerns. Empowerment agents also provide a trusted endorsement of your quality and the quality of fellow microentrepreneurs in your network. Becoming a microentrepreneur through People-First Tourism may be the extra oomph that you need to start and grow your small tourism business. Figure 13. 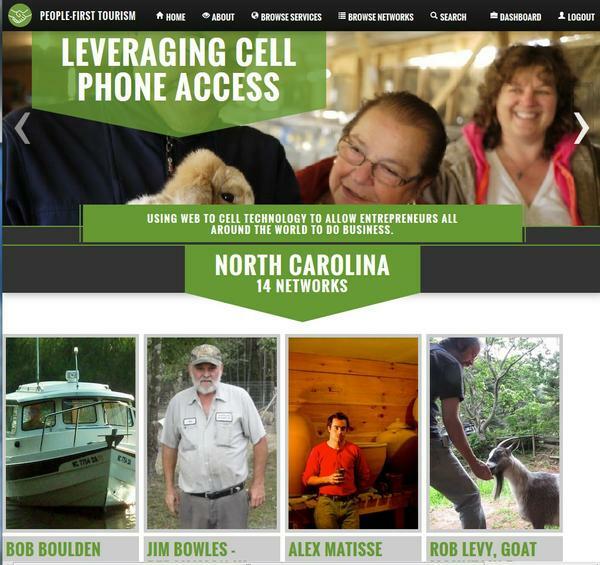 People-First Tourism North Carolina home page (www.peoplefirsttourism.com/NC). Figure 14. Web-to-cell technology (www.peoplefirsttourism.com). Figure 15. People-First Tourism profile page (www.peoplefirsttourism.com). According to recent projections, U.S. e-commerce will grow at a rate between 11 to 16.5% in the coming years (Emarketer, 2014). Although encouraging, these figures also forecast increasing competition in the marketplace. Not only will it be mandatory to have an Internet presence, but it will also be important to understand the demand for your product or service, be knowledgeable of current trends, and know what the customers desire. Customers in general, and tourists in particular, often construct distorted images of what a local, a destination, or a product should look like. To influence potential customers’ decision-making and satisfaction, entrepreneurs tend to cater to their expectations. For example, in Asia, foodies are served local dishes that might look authentic but are in fact prepared to match western mainstream tastes (Cohen and Avieli, 2004). At some destinations, locals might enact ancient rituals or dress traditionally to portray a quaint, rustic, and picturesque village and lifestyles that tourists are eager to consume (Stronza, 2008). Although we acknowledge the need for entrepreneurs’ ingenuity and craftiness to keep their businesses afloat, research cautions that such behaviors can influence how host communities change as a result of their involvement in tourism (Jenkins, 2003). Problems of this kind can be, however, avoided or at least mitigated. Entrepreneurs, despite pleasing their customers, should hold true to a set of customs and principles that are authentic and unique to their cultures and traditions (Wang and Morais, 2013). This mindset should apply at all levels and starts with making your profile page stand out (Figure 16). Avoid dull commonalities and highlight unique features that set you apart from the competition. Finally, being genuine and delivering authentic products is easier said than done but will eventually give you the edge to thrive in your business in the long run. Figure 16. Profile text (www.peoplefirsttourism.com). Bank of America. 10 Online and Mobile Security Tips. Accessed August 2015. Baum, T. (2006). Low-Cost Air Travel: Social Inclusion or Social Exclusion? Tourism, Culture & Communication, 7, 49–56. Cohen, E., and Avieli, N. (2004). Food in Tourism: Attraction and Impediment. Annals of Tourism Research, 31(4), 755-778. Emarketer. (2014). Retail Sales Worldwide Will Top $22 Trillion this Year. Accessed August 2015. Jenkins, O. (2003). Photography and travel brochures: The circle of representation. Tourism Geographers, 5(3), 305–328. Morais, D. B., Heath, E., Tlhagale, M., Payton, F. C., Martin, K., Mehta, K., and Bass, J. (2012). Concept Testing People-First Tourism in Rural South Africa. In Jafari, J. (Ed.). Knowledge Management in Tourism: Policy and Governance Applications Bridging Tourism Theory and Practice, Vol 4, 115-128. Emerald, Bingley, UK. Payton, F. C., Morais, D. B., Heath, E. (2015). Multi-stakeholder assessment of a mobile and temporarily interconnected systems prototype: People-First Tourism. The African Journal of Information Systems, 7:1, Article 2. PewInternet & American Life Project (2010). Online Product Research. Smallbusiness. Advantages & Disadvantages of eCommerce Retailing. Accessed August 2015. Statista. Statistics and Market Data on C2C E-Commerce. Accessed August 2015. Stronza, A. (2008). Ecotourism and Conservation in the Americas. Edited by Amanda Stronza and William H. Durham. CAB International 2008. Wang, Y., Morais, D. (2013). Self-representations of the matriarchal Other. Annals of Tourism Research, 44, 74-87.